Quilting has been a passion of mine for more than 25 years. I enjoy making both contemporary and traditional quilts, and I'm particulary drawn to scrappy quilts. I've displayed quilts at Pacific International Quilt Festival and the American Quilter's Society Paducah Show. I've participated in numerous international quilt challenges. Favorite methods of mine include piecing, hand appliqué, machine appliqué, paper piecing, hand quilting, and machine quilting. 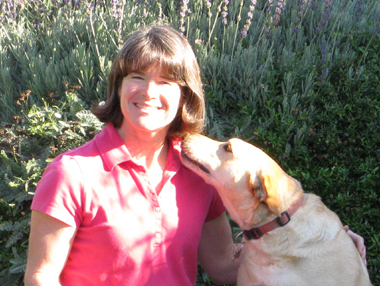 When I'm not quilting I enjoy spending time with family and friends, gardening, water skiing, snow skiing, and bike riding. 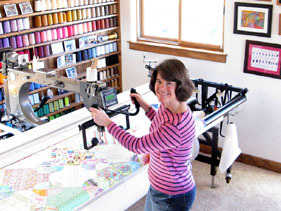 Dream became reality when I purchased a Gammill Optimum Plus and launched "Holly Casey Quilts", my custom longarm quilting business. Each quilt is custom quilted with hand-guided designs; no pantographs or computerized designs are used. I'm eager to incorporate your quilting design ideas and turn them into reality. I'm also happy to suggest ideas that will fit your budget. I offer a speedy turn-around time. You'll find links to my price list and other useful informaton on this page. Contact me via telephone or email. It's easy to ship your top using USPS, FedEx or UPS. Copyright © 2019 Holly Casey Quilts. All rights reserved.